Searching for great talent today is like looking for a needle in a haystack. Hiring managers are required to go through hundreds of unsuitable resumes before finding one or two that are even suitable. Often, those that “appear” to be suitable may be “hyped up” to hide reality. There is so much waste in the process of hiring: Resumes are reviewed, yet not selected multiplied by the candidates who are interviewed, yet not selected. What if there was an easier way to weed through the hundreds or thousands of resumes that are submitted for each opening? What is a computer program could analyze resumes and provide recruiters with a smaller number of qualified candidates to review? This would save time and money for everyone involved. Hear the process, the problems, the challenges and the successes. Can machines learn how to help companies find better talent quicker? 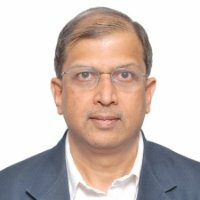 Vinayak Joglekar is the Co-Founder and CTO of Synerzip. Vinayak built and scaled Synerzip’s project teams by attracting and retaining top-notch talent in the fiercely competitive market in India. Synerzip’s teams are highly applauded for their work by discerning clients. Vinayak’s entrepreneurial career started in 1983. Vinayak’s passion for technology skills development drove his ventures in recruitment, training and consulting. Over many years Vinayak developed a knack for spotting and nurturing talent. As a result he was chosen to put together and lead a team that built world-class web applications for American Clients such as Cyberdrawer and First Guarantee. He co-founded ECMi to build a cross enterprise performance management product in the year 2002. At ECMI , Vinayak was responsible for the product vision and architecture. He built the infrastructure and staffed the team that delivered to his vision.